What a week ahead. Mary and I rarely argue but the merits of Sydney versus Melbourne or vice versa does generate a warm, not heated discussion. Mary loves Melbourne, the harbour and general excitement of Sydney as far as cities go in my view takes a lot of heading off. At arm’s length to take a pick of the cities without our usual catalyst for being there Racing, l would still run with Sydney. However, the Spring Carnival or Autumn Championship doesn’t matter they are both great World class racing events. If I was to express a minor grumble it would be the changing of the Easter Carnival come sale week. This would be for selfish reasons, we were able to fly our yearlings and staff over to the Randwick Sales complex on the Tuesday prior to Good Friday, arrive on Friday morning in time for the nights cocktail party. Derby day, Doncaster what a day, full on parades Sunday, Sires Produce Monday. Day One of the sale Tuesday, Oaks Wednesday followed by the night session, what a two hours of selling, excitement. Thursday sale wrap up, Friday, a great day of extended lunches, Sydney Cup Saturday. What’s not to like. The number of Kiwis who made a week of it, regardless of sale participation. 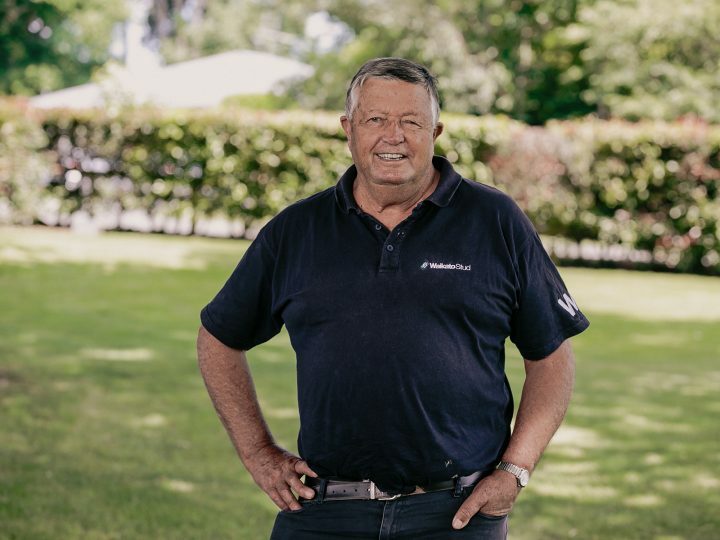 We were vendors of varying numbers for 30 years, obviously successfully but this year we threw our lot in with Karaka, acknowledging a strong NZ sale is important for our industry. The change with the Championship is still a great couple of weeks, different to the Cup Week, I think having an elite sale during such a week of racing is the icing on the cake for me. So let’s get on with it. We have a unique day of our own, Te Aroha running a Group One for our broodmares of the future is one of my favourite days out, there has been pressure to relocate the race to a metropolitan track. This would be not only unfair but unjust. This club and they are a great bunch of people, have had the support of stallion owners providing nominations to fund the stake, move the race I believe maintaining studs support would be difficult. Mary and I had to make the choice Sydney or the bush. Te Aroha won, we have a number of runners including an outside chance in the Breeders Stakes so Sydney will have to wait. Looks like an easy choice but it wasn’t. Apart from the support races Waikato sires have runners in the Sires, Derby and Doncaster. Waikato owned mares have runners also, our attention will be shared between on track and Trackside. There is little to report on the progress of any change to the racing act. As I have said previously we will need to keep a very close eye on the detail, it is difficult to convince those with little understanding of racing of the need to enable us to function with a minimum of outside interference. Keep an eye on all kiwi bred horses over the Sydney Championship we have won more than our share in the past, I am sure we will again. P.S. I had finished my Corner when the news of the Informant ceasing publishing was confirmed. This is a sad but understandable end to a publication that is necessary for the racing industry. Print media in this day and age is fighting a difficult battle, I have no idea as to the numbers distributed, our target is not large, we at Waikato know our targeted number of broodmare owners, who are accessible by way of the Internet but the Informant is more than just a tool for us to promote Waikato, it is a source of independent information. Where to from here, who knows, history tells us normally someone puts up their hand, optimistic they can do it better. It will not be easy. Do we need this type of information, yes, we need to be constantly painting noa picture of racing throughout the world. Regretfully our share of newspaper coverage is little more than the fields. Trackside is just that, Trackside daily form with little opportunity to disseminate anything other than form. This was an independent company with little support from our Racing Board. When in a limited market we have two publications going head to head it was very obvious which would survive, not because the Best Bets is managed any better but clearly would gather a lot of red ink. I can’t remember when I last had a Best Bets in my pocket, in fact at this stage I wouldn’t know where to buy one.